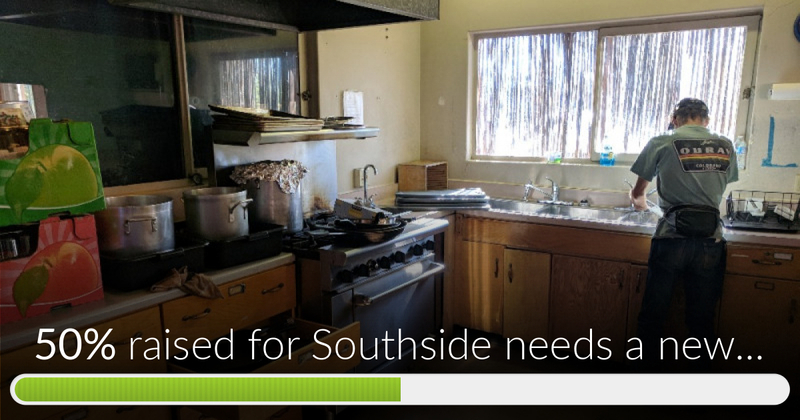 Fundraiser by Alison Harrington : Southside needs a new kitchen! Southside needs a new kitchen! 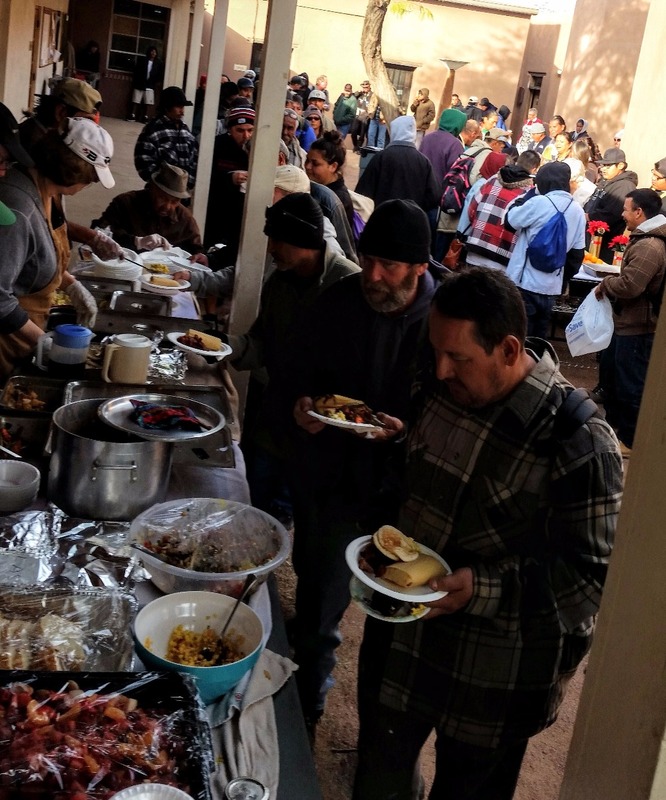 For over 20 years, Cross Streets Community -- a program of Southside Presbyterian Church -- has been serving community members experiencing homelessness in Tucson by proving hot and delicious meals, showers, clothing, and haircuts. 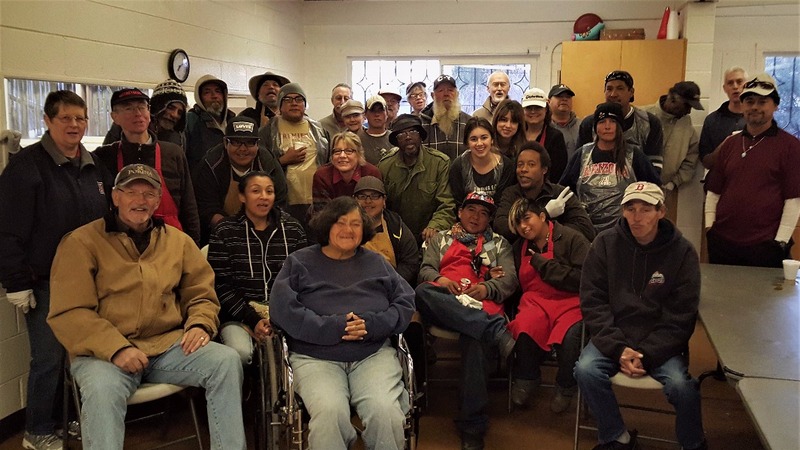 But more than this —Cross Streets has created a loving and welcoming community where homeless and non-homeless volunteers run the program together — and the results have been phenomenal. Bonds of friendship have been forged, lives have been transformed, and the community has been impacted in positive ways. Sadly, we are not able to live into the fullness of our potential because of the conditions of the facilities. 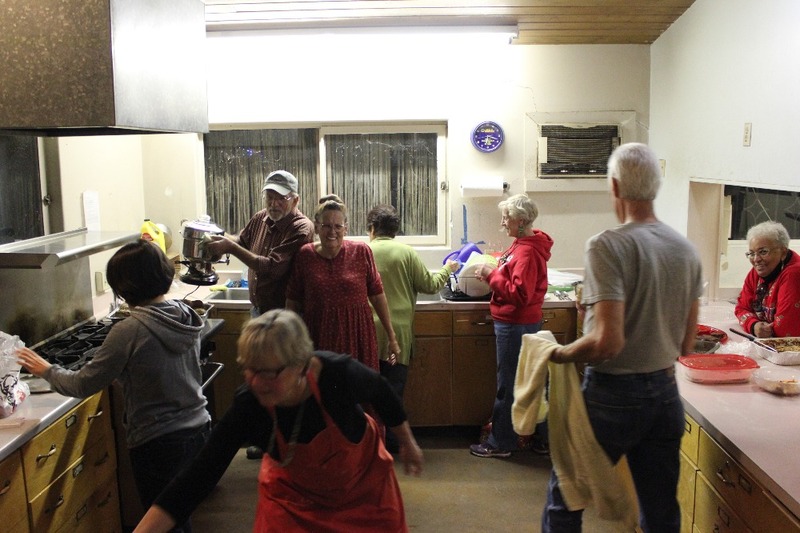 Southside’s fellowship hall, bathrooms, and especially the kitchen are severely worn out and in desperate need of replacement. To that end Southside Presbyterian Church is working to replace and renew the worn out buildings. One of the program areas that will benefit the most will be Cross Streets Community. Currently our kitchen is small and not up to par and no amount of renovation will fix it. Much of the electrical wiring and plumbing is out of date, the counter-tops, drawers, and shelving have become warped through the years, and there is no air conditioning, making the space often intolerable at times. There is insufficient space for food storage, and our walk-in refrigerator and freezer are located on the other side of the church grounds. To be honest, it is a miracle that we have gotten along for so long under these conditions! The improvements will increase Cross Streets Community’s ability to serve neighbors in need in numerous ways: the new commercial kitchen will be much larger (609 sq ft) and up to code and will include a walk-in freezer, accessible and increased food storage, and greater feeding capacity. The cost of the kitchen equipment and installation is just over $50,000 while the overall cost of the kitchen shell, mechanical and plumbing is $126,00 for a total of just over $176,000. We have already received donations from other community organizations -- like the Community Food Bank of Southern Arizona which donated $30,000 towards a new kitchen -- and now we are reaching out to you. 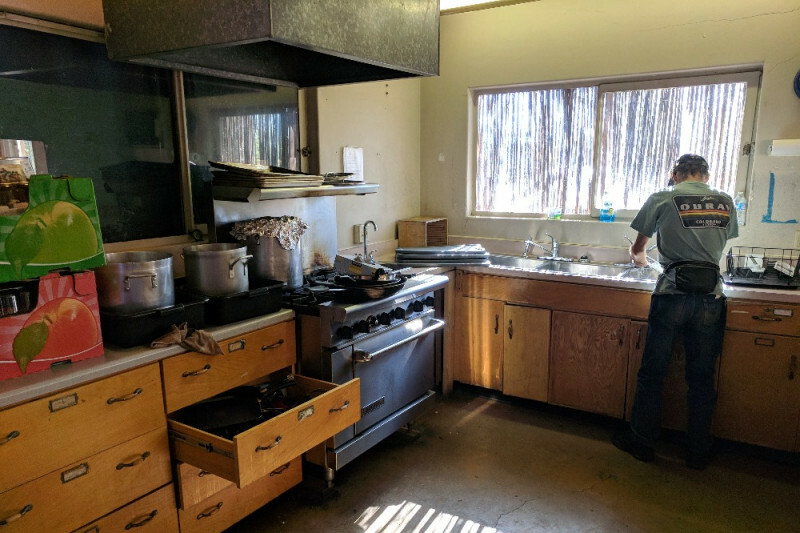 We want to start this effort by raising $20,000 in 2 weeks from our friends in the broader community— can you make a donation today to help us get closer to our goal of constructing a brand new commercial kitchen? We encourage you to give generously so that this important program might continue -- and invite your friends to give as well! 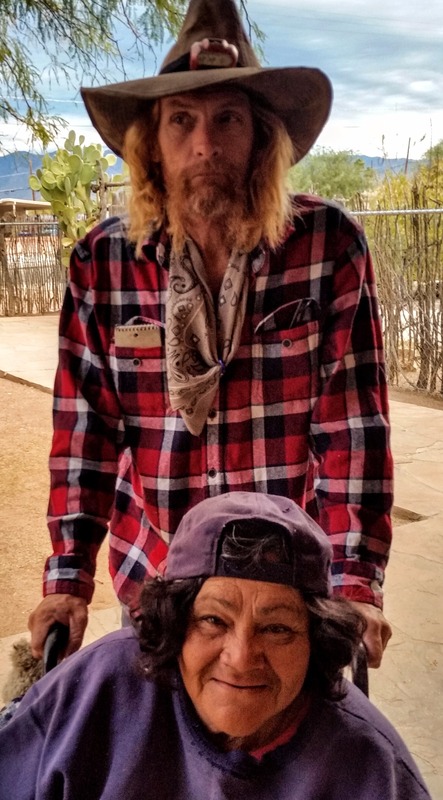 Thank you for your geneous support of a program that so many count on --not just for the basic needs of food and showers but for the things we all need -- friendship and community. For over 100 years, Southside Presbyterian Church has been a vibrant and diverse congregation dedicated to living out its faith on the southside of Tucson. Our commitment to being a community of faith, hope, love, and witness in the borderlands is put into practice through a variety of ministry areas, including Spirit-filled worship, Christian formation for all ages, and social justice ministries. One of the ministries that we are most proud of is Cross Streets Community, a multi-faceted program that provides hot meals, showers, haircuts, and a clothing room for hundreds of our homeless brothers and sisters every week. One of the most beautiful aspects of Cross Streets Community is the way in which the program not only addresses physical hunger but spiritual hunger as we work to create a place for people to feel loved, accepted, and valued by God and by our community. In order to create this loving and welcoming environment, church and community volunteers build friendships and offer support to homeless guests and other neighbors in need and provide opportunities for them to have leadership roles and responsibilities in the operations of the program. Homeless and low-income people are often told in direct and indirect ways that they are worthless. But through the ministry of Cross Streets, we tell them — directly and indirectly — that in the eyes of God they have infinite worth. In this ministry we have witnessed the miracles of personal transformation as our brothers and sisters awaken to the power of God’s love for them. I am over the moon to report that we made our goal of $20,000! Actually, over $20,000! A member of the community just reached out to me to say how moved they were by the generosity of so many who stepped up to support Cross Streets Community and that they wanted to help get us over the finish line! To all of those who donated -- thank you! We are that much closer to getting a new kitchen -- we still have a ways to go (and so you can keep donating!) but this brings us one step closer to a new kitchen. If you have been keeping up with this campaign and watching our daily videos you have seen that the kitchen is just the vehicle for the amazing work of Cross Streets Community as we provide a place of welcome for all people in our community. Because of that little kitchen we are able to make thousands of meals and we are able to make miracles happen: the miracles of transformed lives and transformed communities -- to all of you who donated -- thank you, thank you, thank you! Just imagine what miracles we will be able to make with a new kitchen! Miracles that would not have been possible without each and every one of you! Woo-hoo!! We just tipped past $12,000 -- we are so overwhelmed by the generosity of our community in Tucson and across the country. Friends we are so grateful for you all and encourage you to post our campaign on your page and help us do the miraculous and get closer to our goal of $20,000 in the next two days! Southside needs a new kitchen! has reached 50% of its goal. Thanks to everyone who has contributed! We are overwhelmed by your generosity!